The announcement at last week’s Supercheap Auto Bathurst 1000 that Andretti Autosport will partner with Walkinshaw Racing and United Autosports to form Walkinshaw Andretti United for the 2018 Virgin Australia Supercars Championship made plenty of headlines. The Andretti name is massive in world motorsport, starting with the great 1969 Indy 500 winner and 1978 Formula 1 world champion Mario Andretti. His son Michael, Andretti Autosport CEO and Chairman, has forged his own career as a driver and team owner, the outfit fielding Michael’s son Marco. The announcement also got our V8 Sleuth Aaron Noonan thinking back to the last time the Andretti name was linked to Supercars, back in 2012 at the ARMOR ALL Gold Coast 600. Five years ago, the Gold Coast event was run to an international co-driver format with every team signing a co-driver from offshore. It was the last year of the international co-drivers, with the drivers that compete at Sandown and Bathurst staying on for the Gold Coast 600 since 2013. 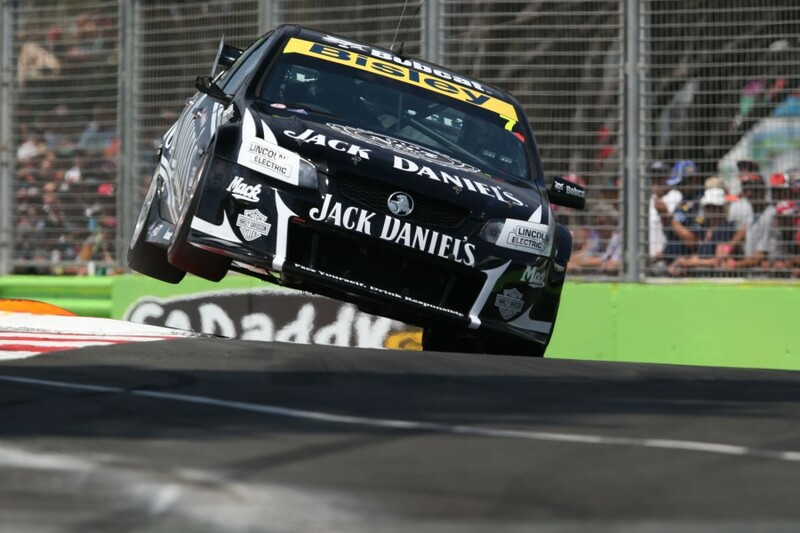 In 2012 the Kelly Racing squad was preparing to become Nissan Motorsport for the following season, though continued to run its four-car squad of Commodores including two under the Jack Daniel’s Racing banner. Team co-owner/driver Todd Kelly had stepped down from driving after Bathurst to undergo shoulder surgery, opening the door to his endurance co-driver Tim Blanchard to become the primary driver in the #7 Jack Daniel’s Commodore. His Gold Coast 600 co-driver was none other than third-generation racer Marco Andretti. The 2006 Indianapolis 500 runner-up had made just one appearance on the Gold Coast in an IndyCar in 2008, finishing 13th. 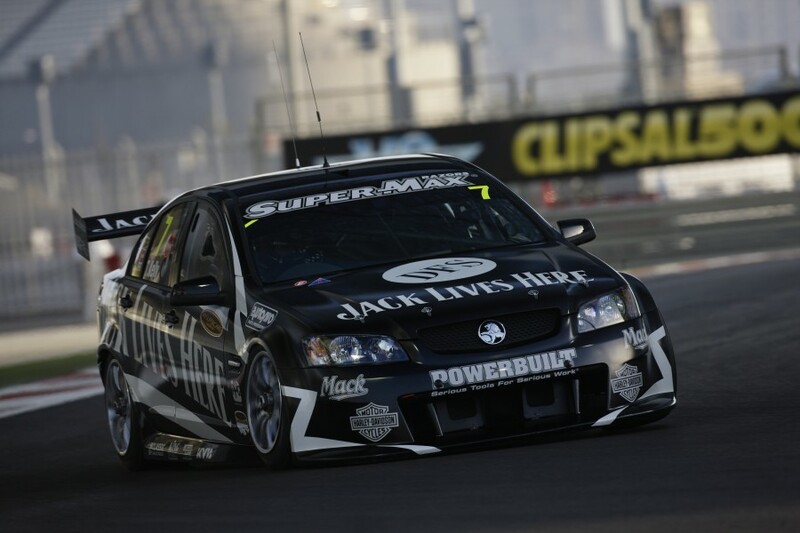 His V8 Supercar debut wasn’t much of a hit either, given he and Blanchard failed to finish both 102-lap races. On Saturday they lasted 19 laps before Andretti collected the crashed DJR Falcon of Peter Kox and on Sunday they lasted 69 laps before differential problems sidelined them. So, what happened to the only V8 Supercar to be raced by an Andretti? 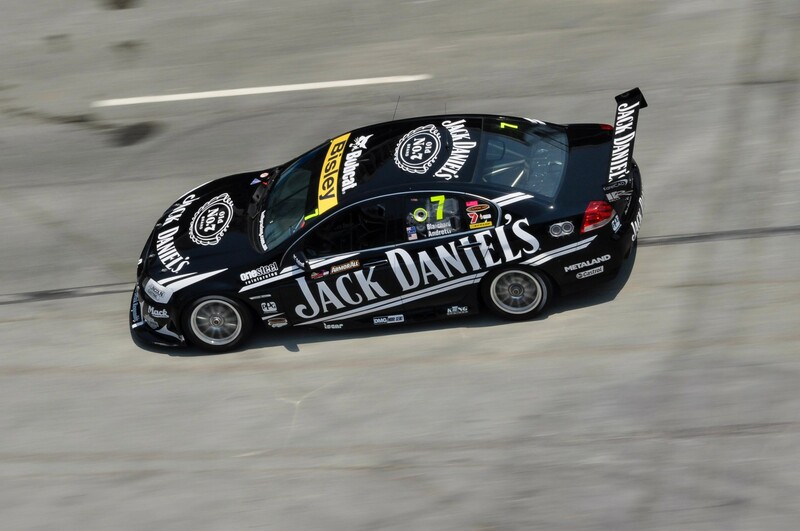 The #7 Jack Daniel’s Commodore started its life in 2010 as the first to carry a Kelly Racing chassis number - KR-01. It made its debut driven by Todd Kelly in Abu Dhabi at the beginning of that season and he drove it all season. Dale Wood co-drove at Phillip Island and Bathurst before IndyCar star Scott Dixon linked with his former Formula Holden nemesis Kelly for the Gold Coast 600. The chassis remained Kelly’s #7 car for 2011 and he drove it to the podium in Hamilton and at Sandown, with David Russell co-driving at Phillip Island and Bathurst and Brit Richard Westbrook sharing on the Gold Coast. It continued into a third season in 2012 with Kelly, though Blanchard moved into the primary driver role for the Gold Coast alongside Andretti and then for the remainder of the season. With the arrival of the new Car of the Future era for 2013 and the new Nissan Altima program, the Kelly team sold off its inventory of Commodores. This car and its sister KR-02 found a new home with SA Racing and Logistics with THR Developments in Adelaide preparing and running the cars. KR-01 didn’t race in 2013 but returned to the track in the Dunlop Series in 2014 with former Porsche driver Jordan Ormsby at the wheel for the first few rounds before it lay idle for the remainder of the season. It was wheeled out again in the 2015 series with Chelsea Angelo driving in Adelaide and young Ballarat pilot Jason Leoncini running it for a handful of rounds before again sitting out the rest of the season. 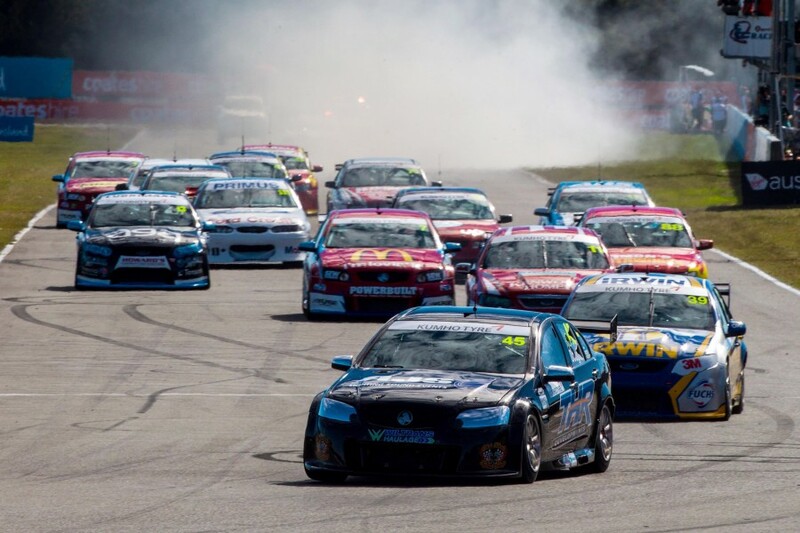 The team moved the car into the Kumho V8 Touring Car Series in 2016 and Taz Douglas ended up driving it to victory in the series, claiming round wins at Sandown, Winton and Queensland Raceway, above, along the way. The ex-Andretti car hasn’t appeared in 2017 and, like its sister chassis, is retained by SA Racing and Logistics in Adelaide. A quick check with the team reveals that both cars are on the market - certainly a line of enquiry to follow if anyone is looking for some cars for the 2018 V8 Touring Car Series! Saturday Sleuthing will take next week off for the Vodafone Gold Coast 600 but will return on Saturday October 28.